Nothing is quite as delicious as freshly roasted Indian King (210) Cashews. We used to carry them when they were readily available years ago, before India decided to keep them for themselves and weren't exporting any. But we have them again, and they are just as delicious as we remember them. Yes, they're a bit more expensive, but totally worth it for their buttery flavor and crisp texture. What can be better than deliciousness that is also one of nature's most nutritious snacks? Simple goodness, in a nutshell. Or, in this case, not. Cashews can't be imported to the US in the shell because of their toxicity (cardol and anacardic acid, like poison ivy). The nutmeats must be extracted before being shipped here. 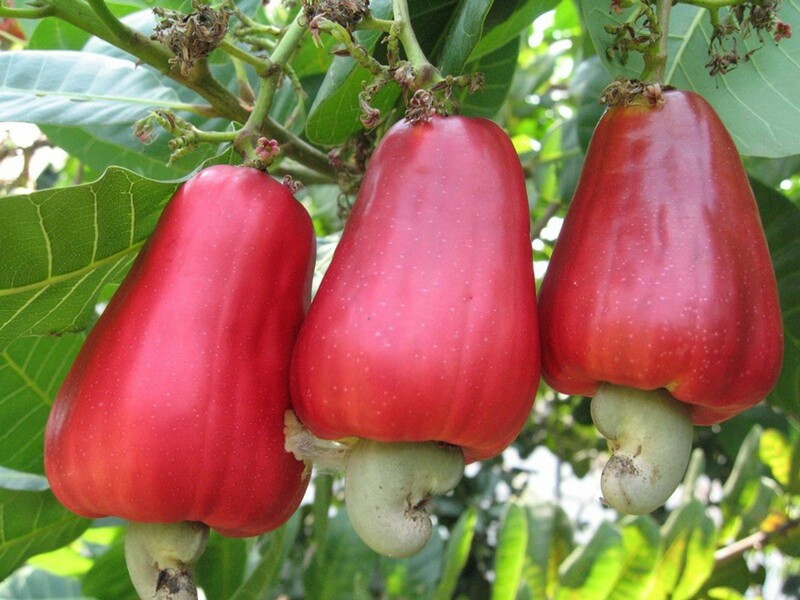 The fruit of the cashew is delicious too, but it begins to spoil after 24 hours and is too delicate to transport. Cashews are high in fiber, unsaturated fat, protein, and minerals like iron, zinc, copper, phosphorus, and Vitamin K, which is a fat-soluble vitamin that is most well known for the important role it plays in blood clotting as well as building strong bones). An ounce of cashews is 150 calories, but will keep you satiated longer than a processed-carb snack of equal calories. We know this to be true! We snack on them all day long. Our new bags are here! 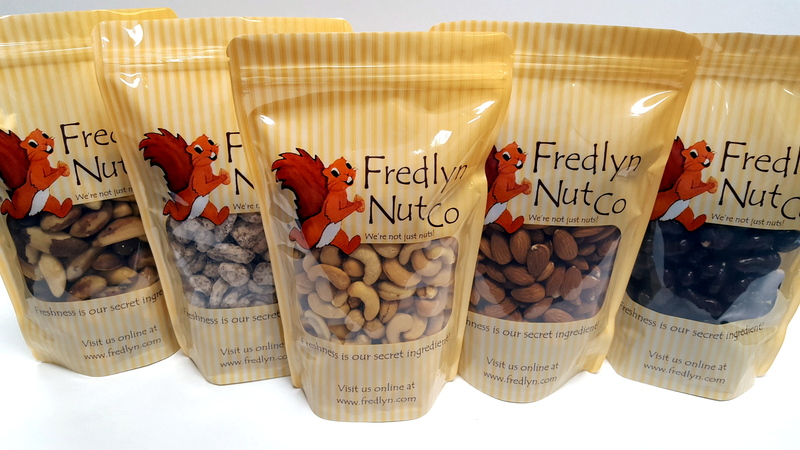 We hope you enjoy our happy little squirrel in your pantry. Check back soon for new products for the holiday season! A new study published online in the scientific journal, Diabetes Care, found that eating two ounces of nuts each day rather than consuming carbohydrates can be an effective way to help control glycemic and serum lipid levels. The participants in the research were split into three groups. One received muffins, another ate a mix of nuts and the third had a mix of muffins and nuts. 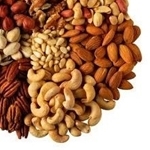 Overall, it seemed that blood glucose control was best stabilized by the nuts-only diet. Diabetes can be a difficult disease to manage, particularly because so many patients are unaware that they have it. EMedicineHealth.com states that the best way to effectively control the condition is to exercise, eat healthier and lose weight.